In our valley an ancient technique that was once used throughout the Ligurian Apennines still survives: drying chestnuts in “tecci”. The drying “rooms” or tecci, are small stone buildings with only one room with a roof made from wooden tiles (“scandole”). Inside, at a height of 2 to 3 meters from the ground a ceiling made from a wooden lattice, called a “graia”, allows the heat and the smoke to reach the chestnuts. After the chestnuts have been collected, mainly the variety Gabbiana, they are placed on a lattice, above a low fire which is constantly fed with wood from pruning chestnut trees or the chestnut husks. 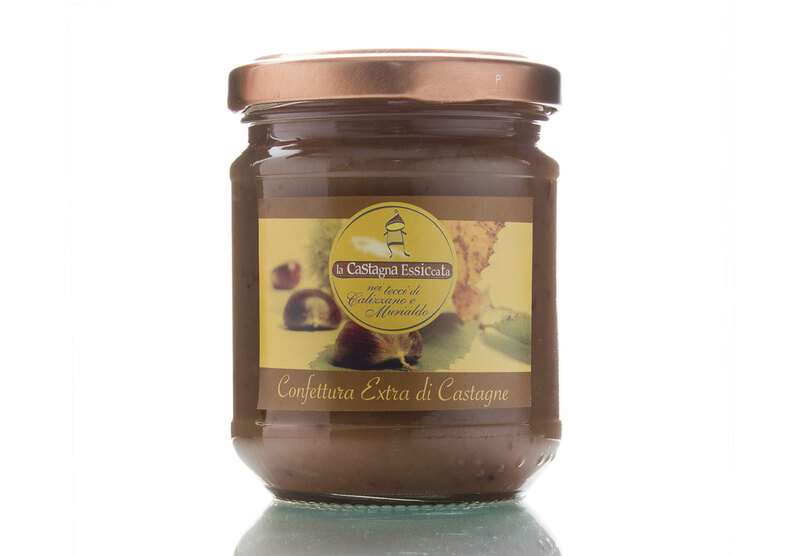 The result is a product with a unique taste, sweet and slightly smoked from which we make the chestnuts in syrup and the jam and other local products such as biscuits and chestnut flour. The chestnuts in syrup are perfect with ice cream and also with soft sheep’s cheese. The jam can be used by itself or as an ingredient to make excellent desserts.